Jobcrafting : What is it about ? Job crafting is not an 'individual activity' where you can decide what you are going to do and what not. Key is to relate to your internal customers and stakeholders and define how you can best contribute to the performance of the organization. That makes it a social contracting exercise an will strengthen collaboration, developing shared purpose, an ethic of contribution and sense of belonging. Jobcrafting : Why would you use it ? Enlarge or Enrich my job to create challenges so can really do what I'm good at, use my expertise, experience, talent and energy to contribute to the success of 'My Club'. Agree with my internal customers/colleagues on how I can add value in working with them and shape what I do and how I do it accordingly. Making a difference is making me happy. It's a huge misunderstanding that through Job Crafting you can 'do what you like'. That is not what it is about. It is about trusting professionals that they can, in collaboration with their internal customers and stakeholders, decide on how can best fill in their role and what priorities to pursue. They are best placed to find out how to contribute best to the organization. There is no conflict of interest between 'performing well' and 'feel good and enthused', or between the organization and the individual. Healthy work, sustainable employability and sustainable organizational performance go hand in hand. You need an engaged and enthused professional to produce the innovation you need for performance in a VUCA world. Jobcrafting : When to use it ? 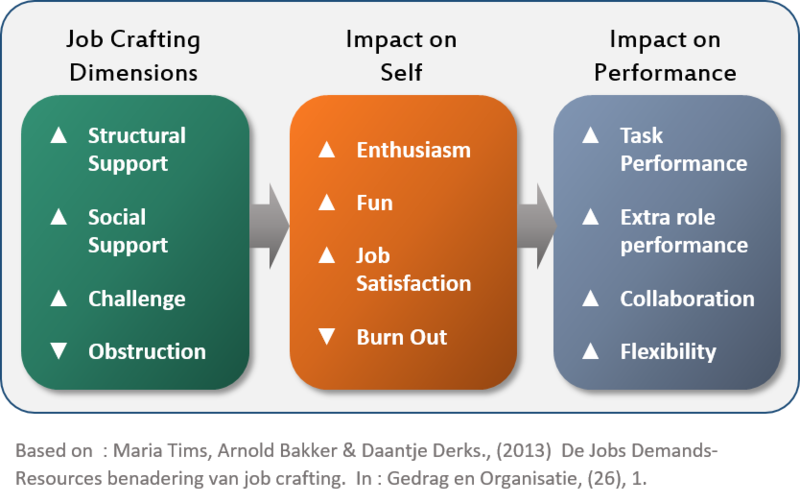 Job crafting can be used in different situations as a useful instrument for learning, engaging, developing ownership, wellbeing and organizational performance. As a part of a re-engineered performance management process much more in line with a learning organization. Job Crafting can help older employees and managers keep their job 'doable', create new ambitions and learning opportunities and make sure people keep a positive perspective on 'working in the organization'. As an alternative for a 'top - down' organizational change process. The job crafting exercise can be a search for a different way of working and working together. Develop with your organization a process that turn job crafting into a true trigger for the Learning Organization. Clement Leemans, (2014)., Jobcrafting. How can it enhance organizational performance. Talent Management Excellence Essentials. Vol 2, N°12. Amy Wrzesniewski, Justin M. Berg, & Jane E. Dutton., (2010). Turn the Job you have, into the Job you want. Harvard Business Review. Maria Tims, Arnold B. Bakker, and Daantje Derks., (2015). Job crafting and job performance: A longitudinal study. 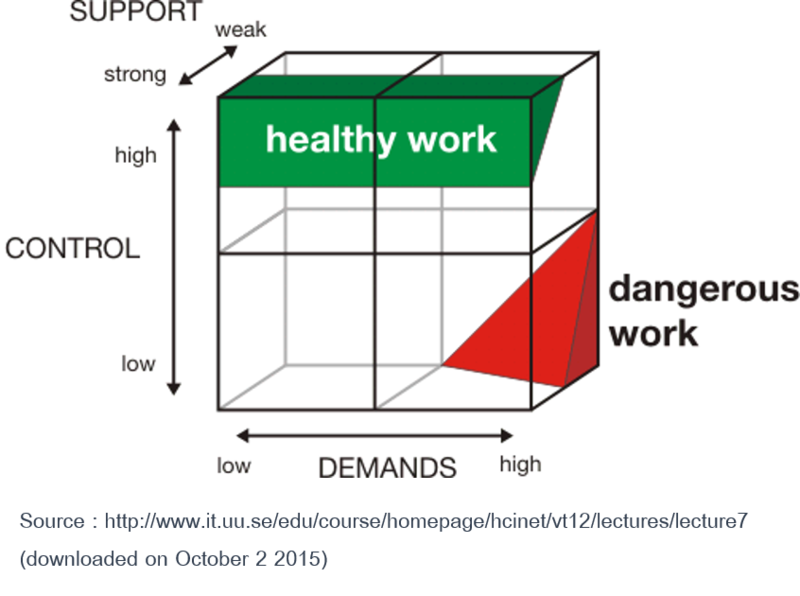 European Journal of Work and Organizational Psychology, Vol. 24, No. 6, 914–928. Paraskevas Petrou., (2013). Crafting the Change: The Role of Job Crafting and Regulatory Focus in Adaptation to Organizational Change. Doctoral Dissertation University Utrecht. Maria Tims, Arnold B. Bakker, Daantje Derks and Willem van Rhenen., (2013). 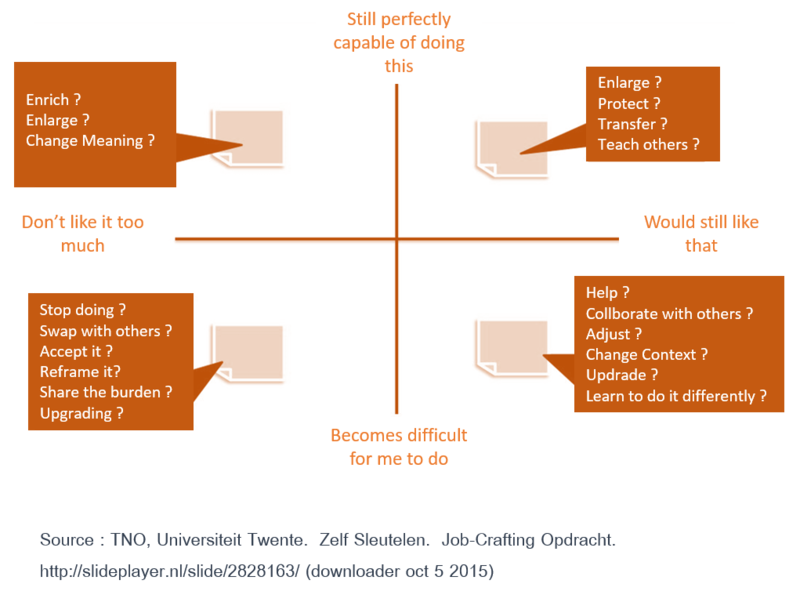 Job Crafting at the Team and Individual Level: Implications for Work Engagement and Performance. Group & Organization Management. 38(4) 427–454. Job crafting is NOT an individual exercise. It's important to position it as a social contracting exercise where colleagues think together about how to reshape work and working relationships between internal customers and suppliers. 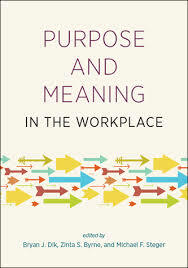 Asking people to rethink their role and contribution in the organization is only useful when there is a reasonable strong 'shared purpose' among people in the organization. You can work on that with a co-creative process, or you could integrate job crafting in a co-creative process that is in search of a shared purpose and helps craft all the jobs during the same exercise (including job crafting and social contracting). When you use job crafting, it is best to review the whole performance management process. Job crafting only works when people really get autonomy, and are in controle of things. So the whole of the PM process needs to be coherent. You cannot 'switch on and off' the autonomy button. The whole PM process needs to be build up out of trust, with the intention to develop autonomy, self-regulation and talent deployment. Job Crafting has an important role to play in keeping 'work doable' in a time we will work longer and we will have to adapt work to the limitations AND the opportunities an older workforce is offering. Job Crafting gives older professionals a 'longer time perspective' which encourages them to learn and develop further. In that way, older people are not so much looking for 'less challenging work' (task demands do not have to be lowered) but are looking for more and new challenges. That is possible, provided that they can do that in a context of autonomy and self-regulation and when they experience the structural and social support of their organization. (which is now often not the case because their age is more often seen as a problem then an opportunity). Job crafting in it self is an act of 'autonomie' and will only work if the organization culture and architecture as a whole embraces participation, autonomy and individual initiative. In that respect Job crafting can be an important lever for 'autonomous motivation' as described in the Self-Determination-theory. Although of course the HR department can support the organization to use job crafting, create some supporting tools and they can help to bring it in line with the other HR policies, but it is important not to 'roll it out' as a 'top down' process, because then the feeling occurs that 'others craft my job' and it is contrary to the message or autonomy and self-regulation that is so key to jobcrafting. HR could though do some process facilitation in the 'social contracting' part of setting up job crafting exercises. Rings a bell ? Looking for a sounding board ?